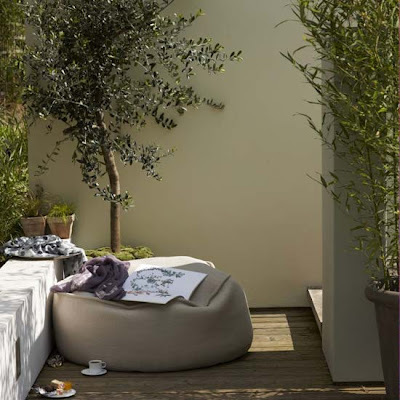 At first I thought the whole outdoor beanbag/ottoman thing was the dumbest idea ever - taking something shapeless and weird from indoors to outdoors where it will be shapeless and weird and dirty to boot. But now I wish I had such a soft squishy thing to lounge on out on our balcony. This could be because Tom broke his foot and keeps propping his chunk of a cast on our teetery teak table. 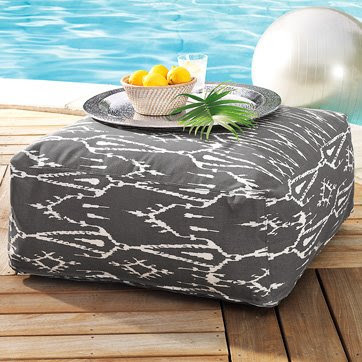 Here are a few outdoor ottomans I've been eyeing. This is West Elm's, which runs about $140 online. At the local store, they are selling the covers for only $50. I've stopped by three times to look at the gray ikat cover. 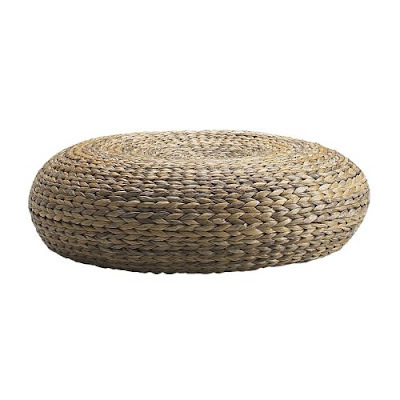 Unfortunately, this ottoman is about as wide as our balcony. If I brought it home, something would have to go in our outdoor space - like me. I'm so with you on this one. They slay me.